EVERETT, Wash. – A good grazing plan is paramount to the health of livestock and the land, and ultimately to the success of a farm. To help local farmers create or improve their grazing plan, WSU Extension will host Twilight Pasture Walk, 6:30-9 p.m. Thursday, June 22, near Duvall, Wash. Participants will visit two 100% grass-fed livestock farms, one raising beef and another raising sheep. Aspen Hollow Sheep Station, owned and operated by Jeff and Katya Rogers, produces lamb and wool on 100 acres of pasture in the Snoqualmie and Sammamish Valleys. 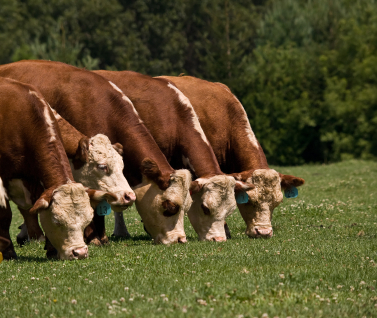 It is the only certified organic, 100% grass-fed operation in North America. By paying careful attention to genetics, pasture improvement and optimum rotational planning, the majority of their ewes raise healthy triplets to market weight each year. West Valley Beef, owned by Bobbi and Chuck Lindemulder, is a grass-fed beef operation, where they are working toward the dual goals of sustainable farming and promoting local agriculture. Bobbi also is a program manager with Snohomish Conservation District, where for 20 years she has been working with landowners to develop farm plans, improve their natural resources, and meet their farm goals. A graduate of Montana State University with a degree in Range Resource Management, Bobbi oversees the district’s small farm and cost-share programs. In addition, she teaches farm-related classes throughout the year and consults with landowners on issues affecting their farms. Space and parking is limited and pre-paid registration by June 21 is required. The event will be held rain or shine, so dress for the weather. Be prepared to walk a fair distance to visit the pastures. To address biosecurity concerns, wear clean and disinfected boots/shoes to ensure that the hosts’ farms remain free from any potential for pathogen transfer. For more information on current biosecurity protocols for livestock, download and read the new publication from WSU Extension, Practical Biosecurity: Recommendations For Farm Tour Hosts. Cost is $25 per farm (up to four participants in one vehicle) or $15 per person. Exact location address will be sent upon registration. Register online at TwilightPastureWalk.eventbrite.com. For more information contact Kate Ryan, kate.ryan@wsu.edu, 425-357-6024. Extension programs and policies are consistent with federal and state laws and regulations on nondiscrimination regarding race, color, gender, national origin, religion, age, disability, and sexual orientation. Evidence of non-compliance may be reported through your local Extension Office. Reasonable accommodations will be made for persons with disabilities and special needs who contact Karie Christensen at 600 128th St SE, Everett, WA (425) 357-6039 christensen4@wsu.edu at least two weeks prior to the event.